Single Steps Learning aspires to be a true learning organisation and continuously strives to improve the quality of its training. 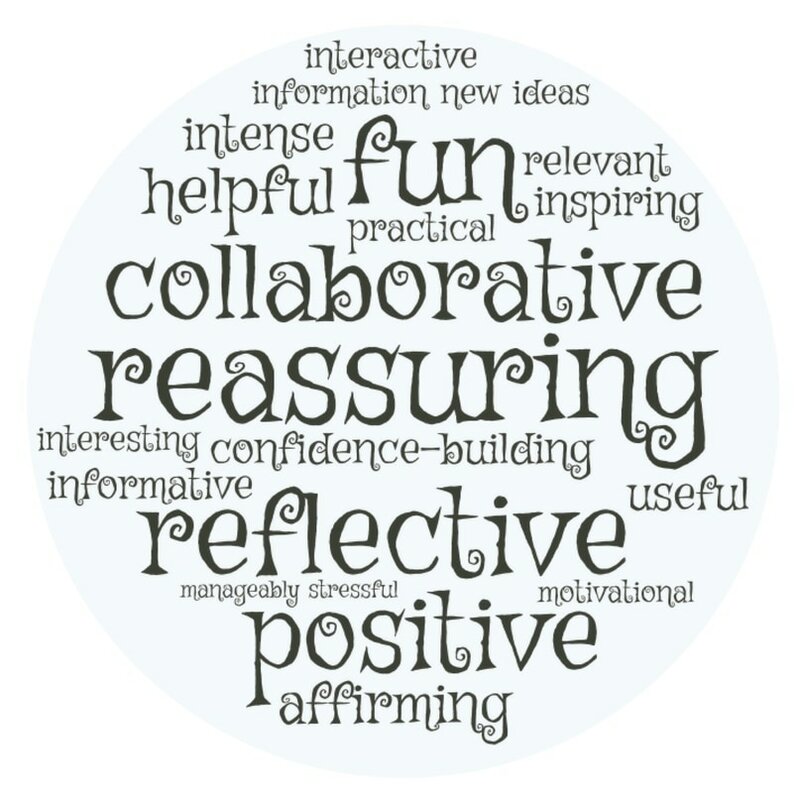 We welcome and value feedback from all of our training events. 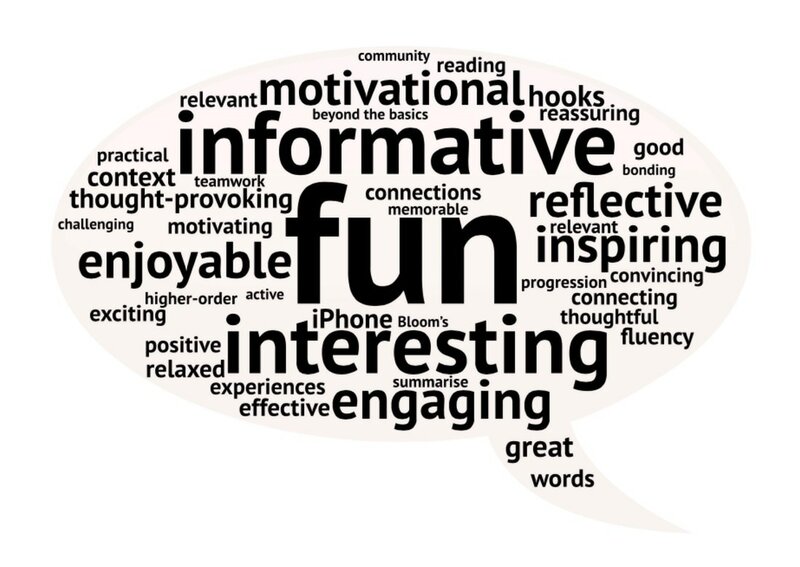 The following comments are examples of feedback that we have received from a variety of events. I have thoroughly enjoyed the whole experience and the opportunity to work with colleagues across various level of education within WDC. The photo-gallery was a lovely touch and really made me reflect on the amount I have learned/how far the group has come since day 1. As a result of the training, I am now planning a STEM transition project alongside a primary and 2 secondary colleagues and look forward to sharing the results of this with you both in May. Single Steps Learning has affirmed but extended some processes for learning that I was initially introduced into using cooperative learning training. However, I have felt this approach is much calmer and I have looked forward to each challenge rather than feeling anxious about what I will be expected to do next. I feel the download provided will be invaluable and provides me with tools to go away and start using immediately. Thank you so much for providing training that will immediately impact on my practice with children, staff and parents. Thoroughly enjoyable three days! Full of great tips and tools for implementing problem-based tasks into the classroom. Everything has been broken down into small manageable chunks that materialised into and enormous amount of work – but didn’t feel like it. Looking forward to coming back in May and discussing how we all got on with embedding problem-based learning into our practice. Firstly, I would like to say a massive thank you to you both for providing the single steps programme. I will say I wasn’t sure about a training course which incorporated early years, primary and secondary as I thought it would not suit early years but I stand corrected! Not only has the past 3 days made me evaluate and add to our practice but it has made me reflect on myself and my own impact and role. I walk away from this week full of ideas and enthusiasm! Thank you, see you in May. Enjoyed this training very much. Community at the core!! Relevant. Set at the right pace, given time for all the activities. Taught as we will teach the children. Reflection and feedback and understanding the importance of this. Sweeties – thank you. I look forward to building a community and using problem- based tasks. The structure and well thought out delivery reinforces and embeds vital skills to being a successful practitioner in education. It is evident, with a methodological and in-depth approach, Single Steps is an invaluable tool to enhance engagement with all the learners, despite their age, stage or background. Truly embedding trusting and supportive community enables pupils, and adults alike, to further enhance metacognitive skills whilst promoting and raising the attainment agenda. I appreciate your hard work and dedicated expertise throughout! Wow! Thank you both so much for a very enjoyable, insightful three days. It has been a very busy few days which I initially thought would push me out of my comfort zone but I have been very pleasantly surprised how lovely it has been. It has been nice to work with all members of my team in the school and hear everyone’s views and ideas. You both make learning effortless and I can see why children love you being in their classes to work with them. I would really like to get the opportunity to work with you both in the classroom (Reception) and see in practice how all these fab ideas work so we can follow up with them. A fantastic 3 days – thank you very much! I thoroughly enjoyed the problem-based tasks and community builders and I will continue to use these in the classroom. Liked how the tasks (most/some) linked to ‘Successful Futures’, which enabled me to gain a greater understanding and confidence of this document and applying to the class/school. An outstanding course in which the thinking was carefully crafted and progressive to allow everyone to get on board with the process in an open-minded manner. Clearly defined opportunities for reflection have really allowed me to consider changes I need to make to my pedagogy as I transition into a school already well established with this model. Thank you for your openness and honesty with your own experiences. A great three days full of different and interesting activities. I feel far more confident in my understanding of Donaldson and how it will look in my class. This, coupled with the two weeks in February, has made me far more likely to try things and know how to support my children. It was great to see the reflection on day 2’s and ‘I sit’ dealing with the ‘awkwardness’, to know how the children feel and how to address this. It will improve my personal performance in delivering problem-based learning in my classroom and I would be keen to be involved in a 3rd Step. Thank you very much Lynne and Andrew for such a worthwhile in-service. It was a very worthwhile experience. It was very intense but hugely enjoyable and beneficial. On the last day, we were able to see the breadth and depth of the experiences undertaken which contributed greatly to my appreciation of every activity and every ‘step’ I’ve been through. Evidently, a lot of work and preparation has gone into this 6-day experience. The course is fantastic and I will have no hesitation in recommending it to others. Thank you, Lynne and Andrew. I have enjoyed the full experience and really do feel that it will have an impact on my classroom practice – I feel that I could implement problem-based tasks in my learning and teaching without having to have massive amounts of resources and planning. Not only have I learned about myself as a teacher, I have learned about myself and my own personality. This has been interesting! Thank you for making so much of the course so personal! All of the personal touches made a difference. Step 3 would be great. I’ve had a great time and most importantly learned lots. I will use my learning to feedback in school, mainly to support STEM, but also generate a more inclusive supportive learning community. I was placed outside my comfort zone on several occasions but never felt ‘in danger’. I’m proud of myself and what I have accomplished. Thank you so much for your energies and efforts, you’re a great team and it’s been a real highlight of my learning career. Cheers! Step 3 - yes! WOW! What an interesting, thought-provoking and fun course. This course challenged me both professionally and personally. Before the course I had no idea how to provide STEM in my centre and what STEM was. I now realise I have been doing it all along using problem-solving activities in my practice but without understanding the philosophies behind it. The opportunity to liaise with like-minded colleagues has only enhanced the whole experience. Thanks Lynne and Andrew – looking forward to the next challenge. It all makes sense 100% now I understand the 6 days as a whole. I can’t wait to put it all into practice and take it all back to my team. Can’t believe how much work we have got through. Thank you for all your dedication, hard work and patience but most of all the opportunity to achieve. Great course! Thoroughly enjoyed it. Loved the group I was with as well. Excited about using this in class more and embedding it in my practice and pupil’s experiences – nervous too though! Want to come back tomorrow. Thank you so much for such an enjoyable session – particularly on a Friday afternoon. Very engaging. A great workshop, getting us all moving and thinking. I enjoyed the afternoon. Glad to get the chance to discuss reading with other staff members. A great CPD, lots of useful strategies and guidance. Nice to hear what we are doing well and can build on, rather than starting fresh again. Thank you, a very informative and useful day. Reaffirms what we are already doing is correct as well as gaining new ideas. A great day of practical ideas. Thanks. ​The initial three days have been very interesting – thought-provoking. The engaging activities were very useful in helping build relationships with new people and also in providing ideas for the classroom. The course has been extremely varied so far, giving time for active tasks as well as contrasting reflective activities. Presenters were welcoming and helpful, in giving advice and providing materials. Thank you, and I look forward to Step 2. This has been a truly thought-provoking and invaluable 3 days. Being able to look back over all the activities and processes that we took part in over the course of the training, it was amazing to see all we have covered in such a short space of time and reflect upon it in its entirety, seeing how it all linked together. It has shown me how crucial sharing practice, reflecting together and giving and receiving feedback is to the learning and teaching process! I leave today feeling very positive about trying out some of these approaches with my own class. Can’t wait for May. ​Over the three days, I have had the chance to reflect on my current practice, focusing on what is going well (regarding 1 + 2) and what can be improved. I have gained information on how I can go about making improvements using the Key Concepts and, with my colleague, we have decided on the way ahead – giving us direction that can be presented to our colleagues at school. Very excited about putting this into practice. I’ve also had great fun and met lots of lovely people. Thank you so much. ​Inspiring – I feel ready to apply elements to my practice and to share with my colleagues.Perfectly paced and a good mix of practical activities and reflection. I’m looking forward to Step 2 and think it’s good to have a gap to try and implement some aspects before building on that when the group meets again. Thank you both for your welcoming, inspirational and research-backed approach. ​I have had the most amazing experience in attending this 3-day course. My eyes have been opened to so much and many possibilities to which I can apply my daily practice in all curricular areas along with the focus on modern languages. I have now got more ideas as to how I want my language teaching and learning experiences to be and I look forward to trying them out in the classroom setting. I have met lots of lovely people and have enjoyed working with them on the various tasks and community building exercises. Thank you both so much for making my learning experience over the past 3 days memorable, interesting and (at times) fun. ​It has been a brilliant experience! The three days were so well-planned and structured. I definitely feel that I have been a ‘learner’ and had time to reflect on the process of learning. I have a greater rationale for what I do with my class and practical ways for moving forward and delivering more quality learning experiences for my pupils more regularly. Thank you both for your supportive and valuable input. ​I have thoroughly enjoyed this course. It is perhaps the best course I have been on. Andrew and Lynne, you were brilliant! Thank you for providing such an interactive and enjoyable course. I have learned lots and I look forward to implementing it in the classroom. Can’t wait for the next 3 days. ​I have thoroughly enjoyed taking part in the training over the last few days. The experience has been extremely valuable and has left me feeling inspired, with a great deal of confidence in creating meaningful learning experiences within my classroom. It has also helped me to realise the ways in which I can act as a barrier by taking away responsibility from the children but has also shown me how this can be changed quite easily to allow the children to take ownership of their learning. I have thoroughly enjoyed the last few days and look forward to seeing you again in May. ​I have found the three days most valuable and thought-provoking. We seldom get opportunities to work directly with colleagues from other schools and it is always good to share practice with them. I look forward to putting some of what I’ve learned into practice before returning for Step 2 in May and to learning more about Designing for Learning when we return. Thank you for a fun, educational day – reigniting creative teaching approaches. A really enjoyable and informative session. Lots fitted into one day, good experience and food for thought. The training was well-paced and a good mix of information/discussion/practical tasks. Gave me help in developing more creative lessons. The children in Class 7 and 8 (9 and 10 year olds) were asked to choose 5 words to describe the two week project 'Frozen Planet'. For more of their reflections and feedback, please follow this link to the project website. ​I have enjoyed the course immensely. The progression through skills from Day 1 to Day 2 was so clear and evident. This emphasises the importance of incorporating a similar step-by-step approach to planning to ensure progression. I feel that within my establishment, we have lot of very good practice going on in relation to STEM, whether core subjects or IDL and this course has given me really clear ideas on how to take this forward within my school. ​This event has been cleverly constructed and delivered, reinforcing the power of this methodology as a teaching tool. It would have helped me tremendously if the flipchart piece today detailing STEM context had been used at the very beginning of the course as everything we had covered suddenly clicked into place. This would have helped me process the activities and their bigger purpose and relevance to my teaching practice. The professionalism and engaging delivery, extensive planning and preparation by yourselves was exemplary. Thank you very much. I look forward to the course in January. I’ve had a brilliant time! I’ve learned a lot about myself as a learner and been given plenty of food for thought as a teacher. I feel that the course has given me a solid foundation to build on and has also helped me to recognise what I’m already doing that fits within the framework. I’m really looking forward to trying lots of new things. ​I have really enjoyed this learning experience. I feel a lot more confident and have a clear starting point for my Primary 1 class. This afternoon’s session was extremely effective in establishing tools and strategies needed to implement STEM and problem-based learning at Early Years. I am excited and feel motivated to begin embedding this within my practice, and look forward to the second input in January. Thank you for this fantastic learning experience, you both have a lovely nature and clearly put a lot of work into this programme. Thanks again! A great session with a range of activities – thank you! Good training to get the brain active about what is best for the school as a community. Really useful to have time and to reflect and explore things as a whole staff. We have potentially found a child friendly format to agree vision and values. Brilliant, thank you. It has reaffirmed the importance of communication within the learning community. It has highlighted the need for us to work together to build on current vision and values to discuss any new priorities and to move forward together with children, parents and other stakeholders. ​Had a fabulous experience. I didn’t think I could enjoy it anymore than Step 1 but I definitely have. Was great to come back together as a community and you both made me feel valued and welcome. I appreciate the time and effort you have spent in order to make this training bespoke to our group. I am full of enthusiasm for going back to school and only hope that next year I might have a class of my own so that I can fully immerse them in PBTs. Hopefully see you again in the future for a Step 3. ​I have really enjoyed the course and can truly say that in all my years of teaching (15 years), it has been the most enjoyable, memorable, relevant useful course I have ever been on. I have loved all the activities, even the ones that have been stressful, as I can see the relevance of doing them. I have surprised myself at how comfortable I have been in the group/groups and volunteering for things outside my ‘comfort zone’, which goes to show that the community builders do work and are VERY IMPORTANT! I would like to go back to school and try this our with the staff. Thanks again Andrew and Lynne for all your hard work. Keep it up! It was great to meet you both and find that we had a shared love of Dr Who (and David Tennant, Lynne J). Safe journey and Haste Ye Back. Wow – what a fantastic experience! One of the best events I have attended in my teaching career. Will definitely be using these strategies in the classes I take and cannot wait to see the results! I have only started using the Designing for Learning approaches and I can see where the knowledge/skills from the further 3 days training will come in and build upon the first session. Thank you so much for your hard work – when we go home at the end of the day you are still thinking of the development of the following day!! Fantastic facilitators. ​I have really enjoyed this journey with my colleagues and with you. At first I found it difficult to see how it would all fit together and decided I would take little single steps on the path. Now, after implementing those steps and seeing how our pupils with significant communication difficulties have ‘lapped it up’! I feel confident about using it across stages and curricular areas. I came looking for an approach to STEM teaching and leave with so much more. I am sure I will hit a few dead ends along the way but will just retrace my steps and think again. Thanks so much. Thank you for your enthusiasm, your stories, your questions, your patience, your ideas etc, your company! I really hope we keep in touch. You’re welcome any time! It all linked, so the learning was like a ‘story map’. Yes! We believe in what we are doing. We have heard a lot, talked a lot, laughed a lot. It gives energy to go on. get answers for our questions, get feedback for what we are doing, connect with our schools, to visit, to ask you to come back and design our learning again. ​It was very good. You listen and see what the students (we) need. You give feedback. You take things into account with us. So you model what Designing for Learning is. You create a safe environment. That is what I must do a lot in my school. Good preparation, very enthusiastic and me also because I learned a lot to take with me and try to do this in my work. ​They were three intense but super informative days. I learned a lot. There are a lot of things I’m going to try to do in my class. It has given me a lot of inspiration. It was nice that you connected our questions and needs. It was practical and I like that! Thank you for these three wonderful days! ​Pfff…What to say about these three days! I give some words: Experience, knowledge, a lot of learning, new possibilities! I learned a lot! I have new ideas to bring into my classroom. I was at that point and how further now?...So this training came just at the right time. It was, thanks to you, very good training with enjoyment and fun. Thank you for that. Maybe till another time and come home safely! ​I’ve had three great days! Thank you for that! I’ve learned and thought a lot about what’s really useful in the classroom. I can’t wait to start with it. You make me think of things I already did, and give me tips to make it better. It’s all inspiration! Thank you for sharing all of this, dankjewel! ​I’ve had a very inspiring three days, thanks to your enthusiasm, humour and clear ways to explain yourselves! I’ve learned so much about rubrics and MOTs. I’m sure I’m going to and can’t wait to use them myself in the classroom. You both made us feel safe to be ourselves and I think that’s why it was such a good course. Keep up with your great work. You’re inspiring people so much! Thank you! ​I use the word ‘inspired’. A word used many times but it’s the best word I know to describe how I will be leaving this afternoon. I have heard and learned many new things. I am going to use them. I truly think it will mean an improvement for me as a teacher and of course for the children in my classroom. So, it has taken me a step (or two) further. Thank you both very much for these three days. If you are talking about education, atmosphere and many more…they were the best! ​I would like to say thank you (again) for these three course days. I’ve been really looking forward to them and it fully fulfilled my expectations (or exceeded them). The way you’ve been teaching us to take the next step was really helpful. The things you’ve shown us, had us experience or read, all linked to each other and can be linked to my own practice. I feel confident to take the next step and know that my learners (and colleagues and I) will benefit from what I’ve learned and experienced. It also gave me more understanding of how my learners might feel at certain moments. Looking forward and love to stay in touch with you! ​Well, what days! So much inspiration, so many ideas and also new questions. How to do this or that in my classroom. Something to go further with, with my colleagues. I’m taking back a lot. A good vibe in the community. You were one of us. Great presentation, great preparation. Good variety of activities. I had a great time! ​This is the best leadership course I’ve taken part in. The activities were both challenging and fun and while pushing me out of my comfort zone, did not make one cringe. The 3 days have been active and engaging and we covered a huge amount in a short space of time. Time flew and engaging with a very supportive group was a great learning experience. The success of this course was down to the enthusiasm, motivation and commitment of our trainers. Thank you very much. Everyone should have this experience. ​A thoroughly enjoyable experience. Time for quality reflection in a supportive, encouraging environment. Many ideas in which to move my own practice forward with regards to being a leader in the classroom and in the wider perspective. I’ve also had the opportunity to form new relationships and gained new professional contacts. ​In addition to being useful for my work in situation, the three-day programme has been a very enjoyable experience. The ethos created by Lynne and Andrew quickly established a successful learning community. Challenge and support were balanced appropriately and the mix of presentation and activity kept interest levels high throughout. Lots of really useful ideas and materials to take away. Thank you! ​This has been a fantastic course. The delivery model by Lynne and Andrew was done in a very supportive, respectful nurturing and challenging way. 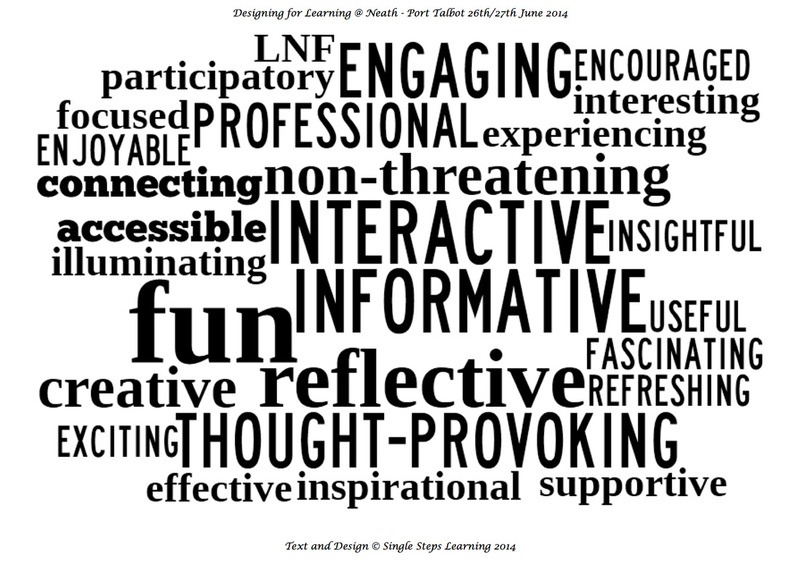 The set up of each experience considered learning styles, which I feel supported the full engagement of the group. I will take away new ideas which I can use in practice helping to develop my leadership and others. ​Thank you so much for all the experiences and opportunities you have set in place for us all over the last 3 days – the difference I feel in how this makes me reflect and think about teaching and learning in my class is astounding. This really is the most valuable training event I have ever attended in terms of the impact it has had on me as a practitioner. The personal touches you add make all the difference (feedback on reflections, availability, chocolate!). You both invest so much time and effort into this experience and I want you to know it is appreciated and so worth it! I loved how relevant the activities resources are to practical classroom tasks. I have realised that I have been ‘over-complicating’ what I thought PBTs were, however, I can now see that they are not an add-on but, where appropriate, part of what is already happening. Loved the community builders – they are so adaptable. Really enjoyed the atmosphere and design of this course. Lots of opportunities to talk to other professionals as well as feeling comfortable to ask questions. WWW. Very thought-provoking and inspiring course. Very enthusiastic and well delivered. I am very ​passionate in getting the best quality experiences for my learners (pre-school) and love to get new initiative ideas to ‘add on’ to my present approach. Good to know I am doing a lot of these approaches already and just need to tweak them a bit to extend them. EBI. I have nothing to add here now. After ‘Step 1’ I would have but now I feel a sense of completion and am ready to enjoy this new adventure alongside my little learners!! ​Attending ‘Step 2’ has given me a chance to explore the depth required to ensure the DfL tools, strategies and principles are effective and meaningful. Over the 3 days I have experienced how it feels to be part of a true community and can picture how this would benefit the learners in my class. I feel confident in using what I have learned and look forward to using the DfL approach to create learning experiences to last a lifetime. I am interested in attending Step 3. I’ve had a great 3 days. The PBL task as a whole group really challenged my thinking and the links made on day 6 about how I could integrate it into my teaching were really valuable. Really versatile and creative ideas for resources – will definitely display the tool-kit in my classroom. Thank you so much for all your time/advice/support! ​Thank you so much for a fantastic 3 days. Some great points and it has provoked a lot of thought for me as a practitioner about the learning children are getting in my class. Best course I’ve ever been to and you two are the reason. Your passion for ‘real’ and motivated learning is evident and infectious. ​I have really enjoyed my time on the course; I am looking forward to Step 2 already. I have so many ideas to go back to work and try out! I think your ‘real-ness’ as individuals is amazing and that you use real experiences is great! Much better than other courses who talk about ‘imaginary’ experiences. Have had a great three days. Thank you so much for all your input. Great to get experience of how to build a learning community and was really interesting seeing the slides of how you have put this into practice. Seeing it in action makes me see how I can achieve this. Really liked seeing the ‘roll out’ paper sheet of all we have done and how it links. ​Have really enjoyed my time on the course. The links between community builders, problem-based tasks etc. are becoming clearer! I have a clearer understanding of the importance of reflection and feedback on a learner and have left thinking about how I can make feedback more beneficial and relevant to the children. Taking part in problem-based tasks and community builders helped make me feed safe J and allowed me to see the experiences I offer from the perspective of the learner. ​Thank you both for such a well-organised and engaging 3 days. Your approachable manner helped me to feel confident to ask for help and clarification. I am keen to implement many of the ideas I have learned from the course into the classroom setting. It is refreshing to take away so many useful and relevant ideas from a course. You have really highlighted the to me the importance of reflection and risk-taking (where appropriate). Things have started to fall into place today thanks to the progression over the 3 days. I can see how many of the approaches will allow children in my setting to develop the essential skills needed for life. The most useful and enjoyable training I have attended. An incredibly valuable use of time (which always feels so limited and stretched) - it was almost 'traumatic' to get out of school and stay out for 3 days...BUT very worthwhile...trauma without loss. Would be very interested in the possibility of further opportunities at school and/or cluster level. An absolutely brilliant course which stripped back to the basics of what leadership actually is. Unfortunately, so often, with all of the ‘fire-fighting’ we do, it’s easy to lose sight or focus as to why we wanted to be in this role in the first place. It’s affirmed for me the type of leader I aspire to be. Andrew and Lynne, as usual, two very inspiring people who offer non-judgemental advice and CLPL which then has maximum impact for participants. It would be great if we could meet together for a second session of this cohort to see developments and further ideas. The three days focus of Leadership for Learning has allowed dynamic dialogue, quiet reflection, positive planning. Initially, I was intrigued and really wanted to participate but felt that the time of year was inconvenient. Now, having participated, I realise that this time of year is perfect to help clarify thinking, planning and focussed outcomes for the children. I hope this event is repeated to allow DHT to attend. I will absolutely use tools etc. but will aim to also use Andrew and Lynne’s expertise. It is always good to have time to spend to reflect on where I am and where I would like to go. Having the time to engage not only with professional readings but also having the opportunity to have my thinking challenged and engage in dialogue with a range of professionals is both inspiring and affirming. The days are well-balanced with a mix of fun and motivating experiences and time to engage in professional dialogue and discussion. A reminder that returning to the theories which underpin our practice gives us a solid foundation from which to take ‘safe risks’. The mix of personalities and professional knowledge of the people on this course has enhanced an already excellent experience. Opportunity to meet again as a group would be beneficial. Thank you Andrew and Lynne. This feels like a genuine learning experience which responds to the needs of its learners. I feel challenged, provoked, inspired, excited, positive, negative and shattered!! The connections from my previous learning experiences with DfL have been clearly established with lots of opportunity for further growth from the perspective of a leader. I leave now ready and armed with a clearer vision of what I can do to become a better leader. This training opportunity has really allowed me to reconnect with the ‘big picture’, if you like, away from day-to-day events. I feel the content has been a fantastic combination of developing knowledge (through the excellent readings) and skills (problem- based tasks). I feel we were lucky in this cohort that the delegates all appeared to have come with the necessary attributes to achieve optimal learning from the event. I feel much more confident now about planning and delivering CLPL which will make an impact i.e. to improve outcomes for learners. I have met some really great individuals and would me open to a further session in the future, if such a thing is possible. I have thoroughly enjoyed this learning experience. I was very nervous as I didn’t know anyone but you helped us form a brilliant community which I felt safe in. I was overwhelmed on the first few days but then tested things out in class and have valued days 4 - 6 hugely as we have shared experiences and build on our knowledge and understanding of DfL. Day 6 has been super in terms of me making connections. I would like to attend part 3. I believe in the 5 concepts and committed to putting what I’ve learned into practice. Amazing experience - both in terms of personal and professional development. I have really reflected on the impact within my classroom. I am inspired to take more risks and try new things, PBT - Group Collaborative Tasks. I have really valued the experience. Wonderful to share ideas and network. Well done you two. Amazing experience. Transformational and inspirational. Thank you - for your time, inspiring tools/strategies and shared experiences. I look forward to ‘pondering’ how to utilise them within my secondary setting - already coming up with some ideas! My time has been ‘fun’. I have enjoyed collaborating with a great group of people (I include yourselves). Truly inspiring. Best course I’ve been on. Challenging, active and inspiring. Some activities did push me out of my comfort zone but I came out feeling proud of what we achieved. So many inspiring ideas I hope to start to embed into my every day practice to help me become a better practitioner. I would be very keen to return for Step 3 in the future. Details of when it is available would be fab. Thank you so much for this amazing experience. Thank you so much for another wonderful three days. Day five did push my comfort zone into the red, but this will and has made me a more stronger and daring individual. Can’t wait to get back into my setting and put my training into good use. I have absolutely loved my experience on Step 1 & 2 and will definitely be asking to return form Step 3 next year! It has been the most enjoyable and worthwhile training I have been on without doubt. The careful links and planning result in a whole host of learning and practical ideas that can be taken straight back to the classroom. Time to reflect/digest, share experiences and the links/progress through the six days set you up to build tools and strategies with the children. I can’t wait until August, building a new community in a new stage for me - P2/3. A jam-packed, ‘fun’ filled, exhausting, rewarding, challenging learning experience...The days flew by, however, much more ‘stuck’ in my brain this time and I think I will most definitely try out more group tasks using some of the tools. I will try and record them and feedback for sharing next time. Thank you for effortlessly guiding us and supporting us! I think this course has become the gold standard for the area!! and justifiably! Two fantastic leaders for this course. Welcoming and open to any advice, support etc. during the course and outwith. Each day is uniquely tailored to the needs and requirements of the group and is updated/adapted in real time. Andrew and Lynne are able to help any part of the learning into practical examples/advice. Getting a download of everything is extremely beneficial. A fantastic learning experience in which I have thoroughly enjoyed being part of. I feel that I now have a deeper understanding of the impact that building an effective learning community will have when undertaking problem-based tasks. Lots of opportunities to learn from you both and each other. I can now return to school (again) armed with an array of ideas/activities to try out. Designing for Learning has been a very valuable experience for me. I feel that Step 3 really has ‘completed the puzzle’, everything from Step 1 and 2 has been revisited and we have had the opportunity to reflect together as professionals on our journey (which you don’t often get!) This has really helped to gain a depth to my understanding and I feel much more confident in playing around with things in practice. Thank you Lynne for your practical Early Years examples/shared experiences, they were very inspirational and my head is buzzing with ideas about how I can adapt PBTs/child led learning/rubrics in my work place. I think it is great as an authority that you are continuing this training - there has already been talk in my school about developing/focusing on DfL as a whole team potentially. Another fantastic and inspiring event. Leaving with lots of ideas and looking for opportunities to adapt practice. Clearly set out structure to each day with thought put into each item on the programme. I really appreciated the feedback given on the reflection sheet each morning. I will hopefully be in contact for guidance when I start to implement some more challenging aspects such as rubrics. I really enjoyed the three days and working with a range of people. The group seemed well-balanced and everyone was committed to working safely, fairly and fully. It was very beneficial to connect previous learning and to experience new learning in a different way. I believe my learning and understanding has progressed over the last three days. I will definitely be taking forward focused check-ins, rubrics, quality progression and reflection in my own learning journey and with the children I work with. Thank you Andrew and Lynne for all your input. You have taken the time to get to know everyone and given quality feedback to us all. Your sharing of your own experiences has been inspirational and refreshingly honest. I have thoroughly enjoyed the 3 days. Day 1 pulled me back into the Single Steps world and allowed me to make connections to Step 1 and 2, reflecting on the training and on experiences with my class this year and last. Day 2 took me from ‘zero to hero’ on the rubric scale. Who knew assessment could me such fun! Day 3 has given time to discuss and reflect along with some fun and laughter, a memorable experience. I feel I have learned a lot and am excited to get back to school and get ‘plearning’ with my class. Participants were invited to share 5 key words that would sum up their experience during the events. This was very worthwhile - the networking is crucial to enhancing my development. I'm so pleased time was given to talk to each other and ask advice. • Thank you both so much. I’ve really enjoyed the last 2 days. you both explained things very clearly and were in no way intimidating! • Hopefully, see you @ another event in the future. A very enjoyable two days with lots of time to reflect, chat and share experiences and concerns. Would love to work with Lynne and Andrew again. Thanks! A worthwhile 2 days. I have a clearer idea of my remit as DHT - comforted that others are faced with the same issues/challenges. Thank you. A great opportunity for discussion and support. Good to hear from colleagues in a different authority to my own. • Thank you, the time flies with you both. · Inspirational course, well-led and run by knowledgeable, approachable professionals. 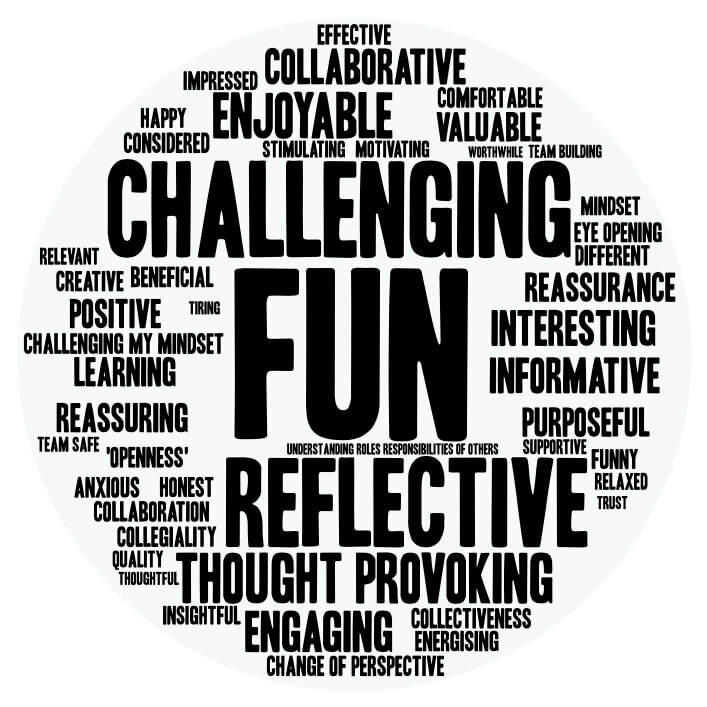 · Reflect on my own learning and practice and impact on children. · Practical ideas to try out/adapt in own setting. · Every Early Years practitioner should do this course! It will help you think differently. · I would like more information on the 6-day course please. Great to meet other EY professionals and discuss and share ideas and best practice. Thank you very much for these 2 days. The course was delivered in such a friendly and encouraging manner. Andrew and Lynne were so good at involving all participants and setting up an enjoyable learning environment. I really value the principles that underpin the approach and a lot of the activities I found generated enthusiasm in me and I will go back to my practice implementing some of the new ideas. The design of the 2 days was really considered. Thank you once again. Very positive experience. Never been on a course that has flown by so quickly. The days were full but so relevant and interesting that time just went. I would like to take up the six-day course as I think I have finally found common ground to where I see myself as a practitioner. You have restored my faith as I was beginning to doubt it! Thanks. I have absolutely loved this training. I am leaving with a greater understanding of how feeling included, being part of a team and being ‘safe’ is essential to develop learning, not just for children but for adults too. Also, how building a sense of community for the children will allow them to take risks and develop their own learning. I feel inspired to take the problem-based learning forward (and a bit more confident about it too) and asking deep questions to get children thinking and explore their own ideas. Would love the opportunity to do the full six-day course. I found this course fun and informative. Andrew and Lynne were great trainers and kept it moving along at a good pace whilst throwing in a couple of scary curve balls! At the end of this I feel a sense of community with others on the course and see the benefits of community building with children, We co-operated and worked as part of a team and also boosted confidence. I loved learning about PBTs and will definitely be using this with the children in my setting. The course was wonderful and allowed me the opportunity to step outside my comfort zone and challenge myself as a learner in a safe environment. The skills and knowledge I have learned will help me to plan and respond to the class. I feel very confident in implementing different aspects into my classroom. The team were very supportive and offered me great answers to my questions. Everything was pitched at the right level and it was very balanced (knowledge and activities). Wonderful strategies and I can’t wait to implement and bring more excitement to the learning in my class. Andrew and Lynne are excellent trainers. Made you feel more at ease and challenged me to grow. I felt more confident and went into growth zone more instead of the danger zone. Really enjoyed the 2-day course. Very informative. I will take a lot back to my nursery and put it into practice. You have also made me think more about how a child might feel in these situations and help them grow and develop further. Thank you both. After this two-day event I feel very inspired. I have a lot of passion for my job and this course has added to my enthusiasm. I will now look with a different angle towards my practice and look forward to using some of these ideas and ways of practice in my setting. Very enthusiastic speakers. Clear outline of each day with sensitivity shown about activities which may cause slight worry and concern (presentations). Very much enjoyed the slides of problem solving and the space given with the second day task to work as a team. I would be very interested in attending your six-day course as I feel this has been invaluable to me. Another valuable experience from a very passionate and dedicated pair. I really think that you think seriously about the group in front of you and try to tailor experiences for them. Your work is very clearly grounded in current and relevant research (something that is often missing on courses, quite often the ‘superhero’ or ‘guru’ tells us that they have all the answers. You present yourselves as learners too!) DfL/Single Steps has a clear focus grounded in values with a focus on impact. An extremely thought-provoking and worthwhile 3 days. It’s Friday at 2.45 pm and I feel inspired, energised and raring to go! Don’t want the course to end! It has been a luxury meeting and having professional dialogue with like-minded folks. I have made new connections and I am sure will keep in touch with a number of the course members. Lynne and Andrew you have both been brilliant! Your hard work is greatly appreciated and I am sure you are both going to be the topic of discussion from many of us over the next few weeks. Can’t sing your praises enough! Each day was very purposeful and thought-provoking, building structure and process. Refreshing to experience the learning and have time to reflect and contextualise the issues/key learning points. I have, without doubt, been challenged in my thinking and I will now use my learning to consider how I lead others’ learning throughout the learning community. It was nice getting to know you both. Thank you for your time and input. • This has been an extremely informative, beneficial and thought-provoking training opportunity. The structure and organisation of the 3 days has been excellent and really supported both myself and the group to develop. • I am leaving this training with a much clearer understanding of where and what I am doing next, in terms of supporting the school to move forward. • Both Andrew and Lynne have been welcoming, supportive and challenging during the course of the 3 days and have taken a invested interest in each individual and their individual circumstances. I would like to say a huge thank you and really look forward to working with you in the future. I have thoroughly enjoyed my DfL experience. I am now able to reflect upon the progression of my learning from Mon. - Wed. The days were outlined and the links were explicit and apparent. Looking forward to taking this experience forward into the classroom. I enjoyed the photographs and the examples from your own practice. Enjoyed sharing practice with my peers and getting to hear about other people’s experiences in this area. I have really enjoyed this training. It’s been fun, stimulating and very though-provoking. It has put me in the shoes of our learners and I have experienced first-hand the challenges, thoughts and feelings they go through. I have gained great ideas for community builders and problem-based learning which I will strive to implement in my setting. Thank you very much, looking forward to Step 2. The most productive course/in-service day I’ve engaged in. Lots of practical and useful ideas I look forward to implementing in my classroom. Thank you for all your help! Fantastic 3 days meeting great, enthusiastic people. Lots of ideas and concepts to take back and adapt for my own classroom. Great way of delivering the course - everyone participated and there was a real sense of community! Looking forward to further building the community in my classroom to enhance social interactions and develop skills. Thank you! looking forward to Step 2! A really inspiring few days again provided by Lynne and Andrew. Great opportunity to reflect on implementation of strategies to date and also be reminded of tools/ideas previously discussed/tried out. Large group tasks very thought-provoking and despite my doubts from Day 4, Day 5 allowed for a super example of how a large group can work together to complete a task. Signed up for Step 3! This has been a fantastic course which has provided me with many ideas and activities to use in my classroom. The children have loved taking part in the activities and I found it very useful to come back after a few months to see how others implemented the ideas and also to remind me of strategies/activities I had forgotten about. Thank you for all of your advice, ideas and innovative activities. Great experience delivered with genuine enthusiasm. Loved the challenging, practical element which provided scenarios that pushed participants outwith their comfort zone. Skills and ideas acquired are relevant and are/appear developed with the child at the centre of thinking. Progression from Day 1 - 6 obvious. Absolutely fantastic course and a real eye-opener! Helps to develop confidence in existing practice and develops confidence in trying new practice. It is excellent how everything links together and the visuals provided make it clear the development of A-S-K.
As someone who is very insecure about speaking in front of adults, this course has most definitely developed my confidence in this area. This course has not only given me and insight into the theory that underpins DfL but also lots of practical examples to take back to the classroom. I have thoroughly enjoyed meeting new people from a variety of schools too! Overall, this course has been one of the best and most useful I have been on. Thank you ever so much. I am continuously amazed at how every task/activity/discussion has meaning and involves modelling to take back to our situations. A very well thought-out training. Andrew and Lynne, you are very knowledgeable and I can see how you continue to learn each day and assimilate our thoughts/feedback into your own thinking. The community builders are intriguing and ingenious. I have actually learned a lot about myself on this course and now understand why my school (who did the training) could not explain what it was/is! I think that I will take several thoughts back to my own team as well as reflecting on how to help my schools evaluate. 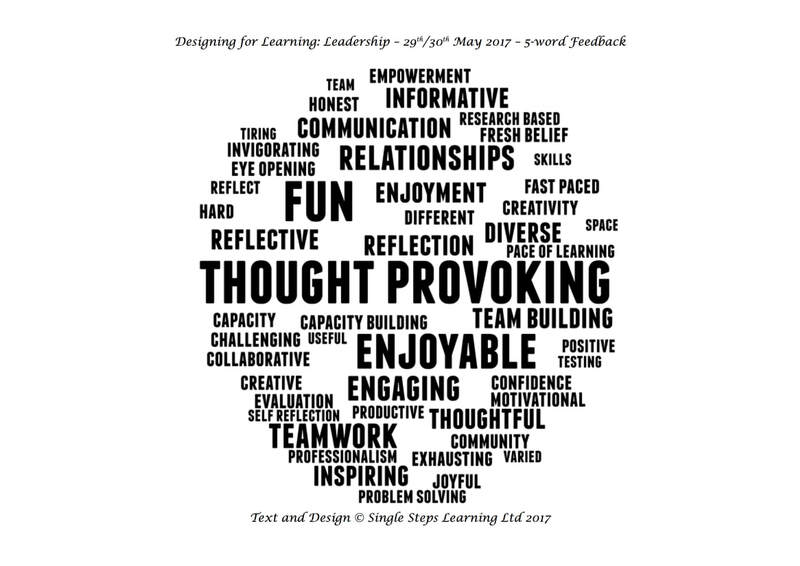 The ‘Designing for Learning’ leadership course was delivered exceptionally well giving time to read, discuss and feedback to other participants. The range of activities and tasks were stimulating and allowed for skills development and learning to take place. Andrew and Lynne complimented each other extremely well and they were personable, supportive and challenging towards all participants. A hugely enjoyable 3 days - thank you! • Every minute was worthwhile. • The sessions felt like they were adapted/personalised for our group. • Quality of presentation was excellent - thank you. • I now have lots more to think about but have practical strategies that I can use myself and in school. • I really enjoyed opportunities to engage in professional dialogue with colleagues which was focused and respectful. • I feel we did have a safe community environment very quickly. You establish a very open, fair and productive learning community which enabled personal growth and development! I was really impressed with the high level of interest you had in each participant and thoroughly appreciated the individual feedback from both of you. It is hoped that our paths cross again in the future as you have inspired, affirmed and given direction. I am truly grateful. • Very enjoyable and beneficial as a ‘new’ HT. • Can really see where all this fits in with my work/role/development of myself, colleagues and school. • Am now keen for my teaching staff to attend. • Time for true reflection and lots of dialogue with like-minded people - excellent. • Went very quickly - motivational. • I feel it’s great that both of you have actual school experience so know how theory and practice fit together. Firstly, Lynne and Andrew, thank you for a stimulating and enjoyable experience. Your clear mastery of the topic certainly impressed and provided for a very productive experience. I very much enjoyed the process of reflection on my own views and practice and welcomed the advice and strategies to help me be a better leader and collegiate worker. ‘“The instructor” should remember that his business is not so much to teach (the child) all that is knowable, as to raise in them a love and esteem of knowledge.’ ‘Some thoughts concerning Ed.’ 1693. We do indeed stand on each others shoulders. It’s been a very interesting 3 days - exciting, challenging, tense and enjoyable all at different stages! I found the ASK debrief very interesting - particularly how it’s the attitudes and skills that allow quality knowledge (learning) to take place. Are they even more important?! Also interested in the five key concepts and particularly ‘Reflective Learning’ - something which I feel there is a real lack of in schools - both for children and staff. Next step - creative network (even exchanging emails) seems like a good idea. Group dynamics was good, learned a lot from ‘negative’ as well as positive. Validated a lot of things I hold dear. Do you offer parents’ workshops? Gained a substantial amount of info/knowledge re: Curriculum for Excellence. Great experiential learning for us as adults to go through a learning process. Good chance to explore creativity, both theory and sharing experiences of working creatively and what we mean by facilitating creative expression. Anticipated being a bit daunted by very experienced teachers but really appreciated their willingness and openness to share/teach. Biggest belief - that we need to challenge people in ‘Arts’ organisations to engage with schools. No one should be art custodians, schools are arts organisations too. The experience has been an extremely valuable journey, both personal and professional. It has been an absolute pleasure working with professionals outwith education/teaching and hearing different perspectives and view points. I came with no pre-conceived ideas or expectations and, I hope, open to anything. The 3 days have been extremely well-organised and offered lots of valuable time for reflection (if only there were more opportunities for this!) It has really stimulated my thought process to consider what will happen next in this journey. If you would like to speak to someone who has experienced our training or embedded CPD process first-hand, please email us at info.singlestepslearning@gmail.com. We would be able to supply you with the relevant contact details.